Anthony Bourdain has died. CNN, the network he worked for since 2013, reported that Bourdain was found dead Friday in his hotel room in Strasbourg, France, where he was filming an episode of his travel show Parts Unknown. Bourdain was discovered by his friend, chef Eric Ripert, a frequent cohort on his show. CNN reported the cause of death was suicide. In 2000, Bourdain published a memoir (born from his 1999 The New Yorker story) that would flip public perception of restaurants. In Kitchen Confidential, Bourdain wrote—in vivid, lurid, page-turning style—of the intense and hazardous culture of working in restaurant kitchens, often manifesting itself in drug use and other self-destructing behavior. 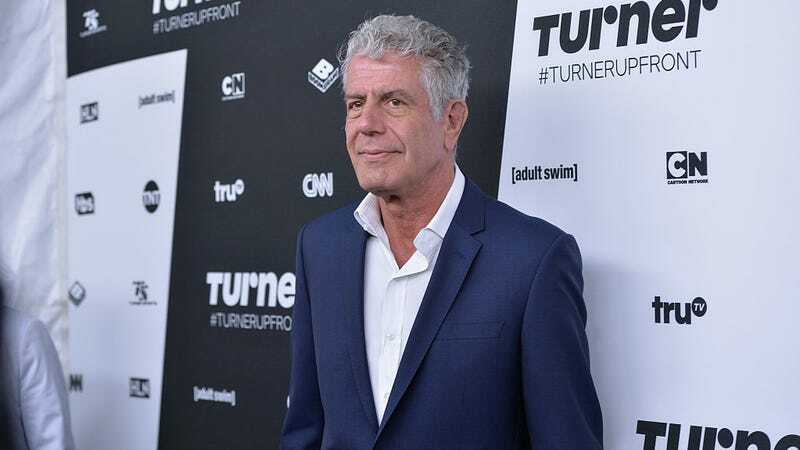 The book became a runaway hit, and Bourdain would parlay its success to a career in television—first with the Travel Channel and the highly acclaimed No Reservations, and since 2013, with CNN and Parts Unknown. I guess my whole life, as much as I might have wanted a child for the reason that everybody wants one, I always recognized that at no point until I was 50 was I old enough or up to the job. I thought, you know what, I not only really want a child, but at this point, finally in my life, I think I’m up to the job and I’m the type of person who could do the job well and I’m financially prepared to look after a child.